Have a question for Pension Del Flora? "I had a lovely stay!" "Place was clean and new." 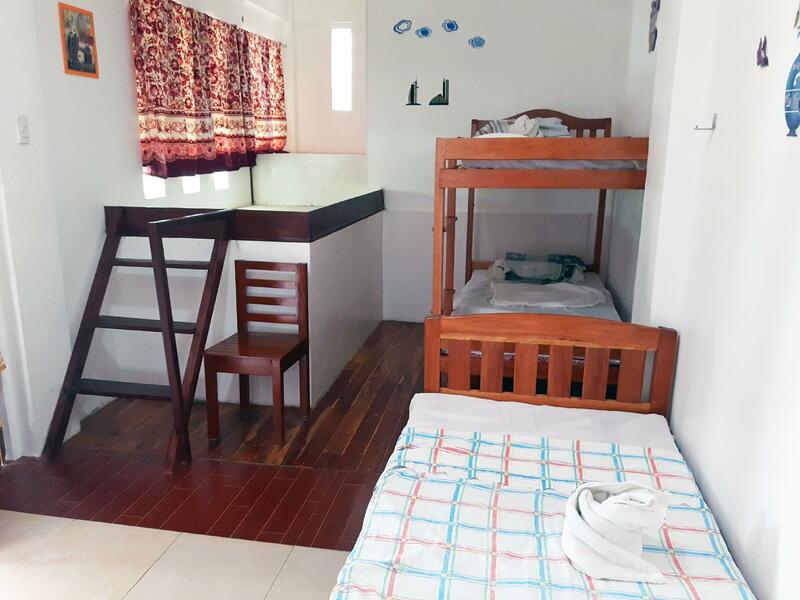 "Clean and new room , quiet area , and right in the city cent..."
Well-positioned in Puerto Princesa, Pension Del Flora is the ideal point of departure for your excursions in Palawan. The hotel is not too far from the city center: just 5km away, and it normally takes about 5 minutes to reach the airport. With its convenient location, the hotel offers easy access to the city's must-see destinations. The facilities and services provided by Pension Del Flora ensure a pleasant stay for guests. Wi-Fi in public areas, family room, tours, smoking area are just a few of the facilities that set Pension Del Flora apart from other hotels in the city. All guest accommodations feature thoughtful amenities to ensure an unparalleled sense of comfort. Besides, the hotel's host of recreational offerings ensures you have plenty to do during your stay. 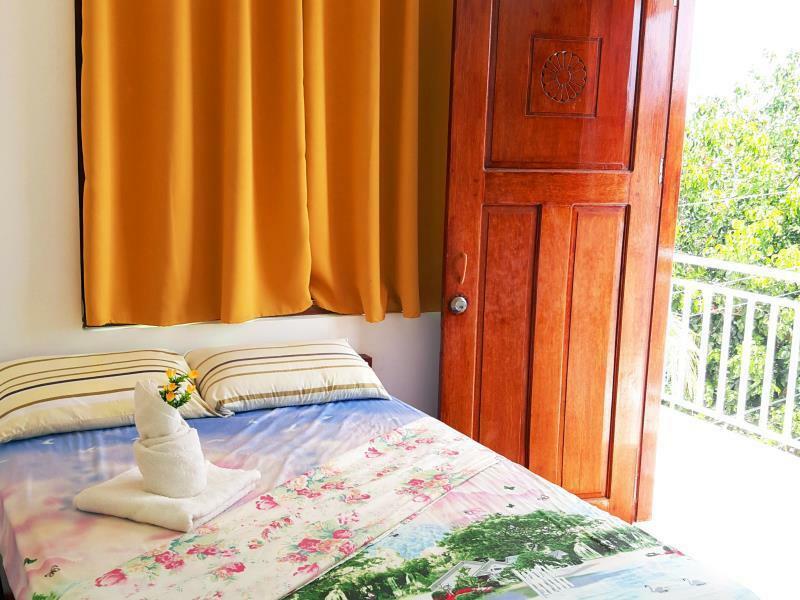 Pension Del Flora is your one-stop destination for quality hotel accommodations in Palawan. "Staff is soooo very frendly!" Hotel was tucked in a quiet place, but not too far away from the main road. This is good if you want a quiet place to stay, away from the hustle and bustle. We were on the top floor, and we loved fresh air. Not all tricycle drivers were familiar with the place, but you just mention that it's near La Charica Hotel and they'll know it. Breakfast serving size was satisfactory, but delicious. WiFi was relatively great (compared to other places in Philippines); they had WiFi networks on every floor. No hot shower though, but water temperature was tolerable. Place was clean and new. There are 3 "sari-sari" stores along the same street. One staff was not very approachable, but she was still able to accommodate our requests and inquiries, nonetheless. The lady owner, however, was very kind to us. Front desk was not always attended to, but it's still 24 hours. The staff/owner will wake up to open the door for you (they lock the entrance at night). Tip: call the landline number if no one answers to the doorbell. Still good value for money! I slept comfortably during the night, which is just about what I needed. This is a brand new hotel, our room was clean and cosy. The staff was very nice and helpfull. We had a great experience at pension del flora. Advantages: Staffs are great, they grant your request. (But they should smile more often to ALL there guests) Near the airport. Disadvantages: They do not confirm online bookings. I always booked online and it seems that this is the only hotel that does not do it. Why is it a disadvantage? Because confirming one's booking the hotel operator would know what are the needs of the guest. It took us an hour waiting for the breakfast. Rice was not yet cooked. Drivers have difficulty locating this pension house. Its not that accessible with the transportation, well, this applies if your planning on exploring more of the city during one's leisure time. We stayed there for 1 night and the hotel was fine just for that night. 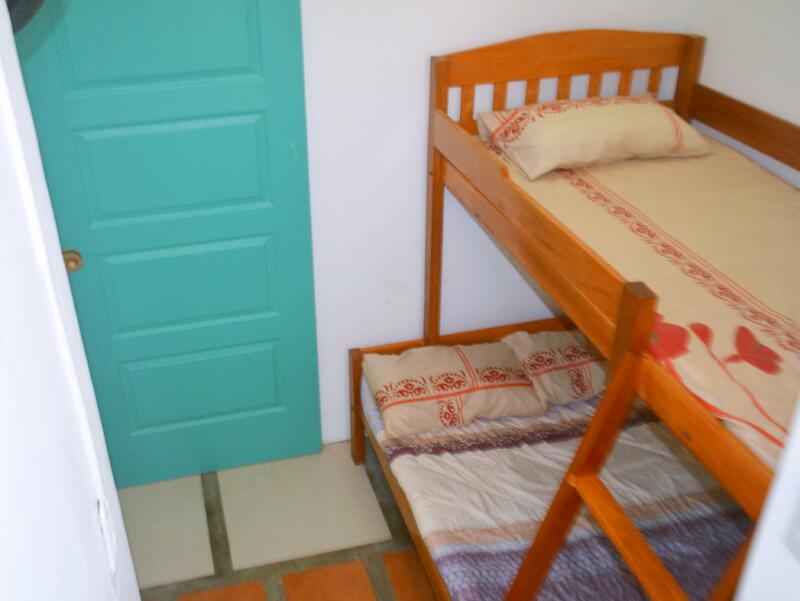 Room was clean and had electric fan and air con, no hot water nor toilet paper available. The breakfast was basic but delicious and the staff tried very hard although language barrier was there. The hotel isn't located near the main strip, however you can walk for no more than 10 minutes to get there, which gives you another perspective of Puerto Princesa. This is a place where you can actually enjoy vacation. Everyone is polite and very considerate. Very good staff. They also inform us of a reasonable package deal for Honda Bay Tour and Underground River Tour which we enjoyed and were satisfied. Near good restaurants and establishments availing the tricycles for a reasonable fare. TV and aircon are good. The bathroom is clean and okay for medium built people but small for big person. Stairwell is okay, it's a 3 storey, no elevator. 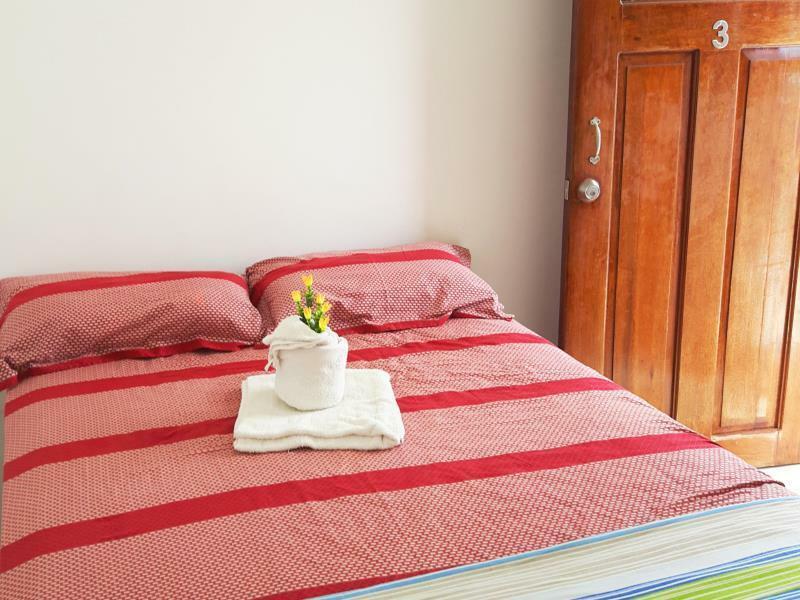 Clean and new room , quiet area , and right in the city centre , 5 mins to the airport . Staffs are friendly !! room was ok, bathroom a bit small though. breakfast needs a little more variety, wi-fi works also in the room. it's located on a quiet street away from all the bustle and hustle. Although I had a short stay before heading to El Nido, this place was great with good facilities. We communicated via email before I arrived and I find that the friendly owner was willing to help and respond promptly if I need any information. Puerto Princesa itself isn't that much of an exciting city, but this guesthouse was pleasant. I'd stay there again. Newly built. Clean & Tidy. Friendly staff. I booked a 24sqm Deluxe Double Fan room for 2 nights. 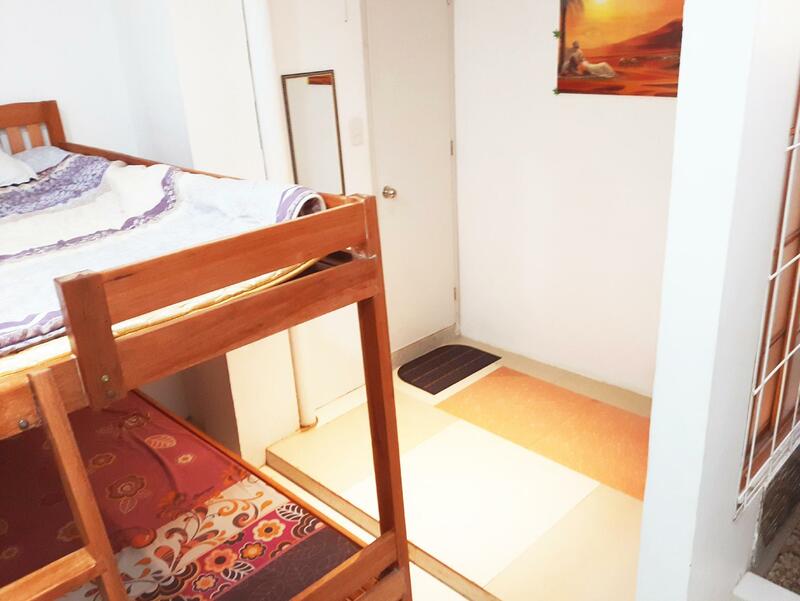 I checked in and went to my room; it was small and, at best, its was 12-15sqm. I went back to reception and asked if they had given me the wrong room; they showed me an alternative room that was the same size. The rooms are bare and basic. There were no toiletries in my room so I had to ask for some - which they promptly provided. The shower was cold water only and there wasn't enough water pressure; the water hardly projected out of the shower rose. You could not stand underneath it. You had to hold the shower head and point it at where you needed it. It is in an isolated location with very few restaurants / cafes in the near vicinity; you have to walk about 1km before you get to anything worth while. I could have booked elsewhere but paid a few dollars more to get what I thought weas going to be better accommodation. I was disappointed. Brand new hotel, very clean and excellent staff!!! We stayed one night at Pension Del Flora and loved it! 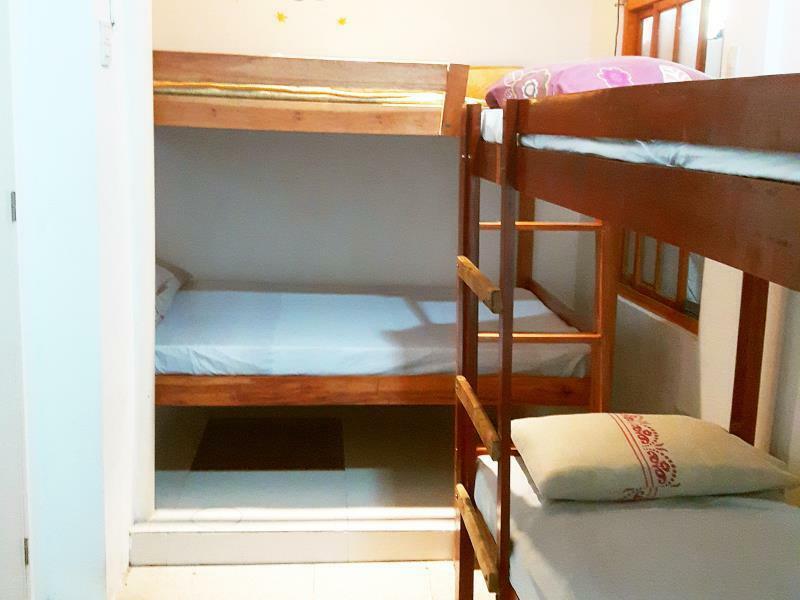 The owner and staff were very friendly and helpfull, the room as tiday and clean and the building is beautiful with a unique design and offers a great view of Puerto Princesa. 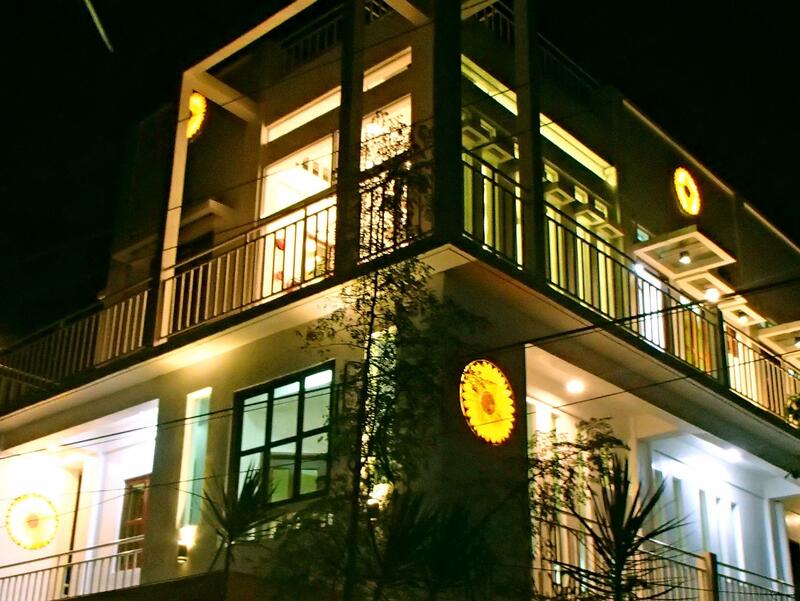 The hotel is located just a 10 minute walk from Rizal Avenue in the downtown area, offering easy access to restaurants, bars, etc. Speedy wifi. Definitely recommended. I had a lovely stay! The staff was very helpful. They went above and beyond! Fantastic people! It was clean and the location is nice as it is away from the busy and noisy centre. A tricycle ride is 8 PHP to anywhere in the city proper. But what really makes this place memorable is it's staff. We stayed for 2 nights/3days, on arrival we were welcomed as if it was our own home. The staff were lovely and helpful, anything we asked for they supplied good service. Our room was clean, had a TV, aircon, and wifi had good signal. They booked our transfer to el nido, which made everything easier for us. We had already booked our tours by the airport and was given discounted rates which was great!! They gave us information regarding bars and restaurants, we went to Tiki bar, it was a fun place to go to!! Drinks were cheap, live band and literally turned into a night club after! We would definitely stay again! Thank you for everything Flora and your lovely staff :)) We would recommend this to anyone who is looking for a cheap place to stay! It was good because they allow me to rebook in a different schedule because of our cancelled flight. The accommodation is new. Staffs are friendly. Just make a more delicious and appetizing free breakfast. It was a great place to go home to at the end of a tiring day exploring the city. You get good value for your money.